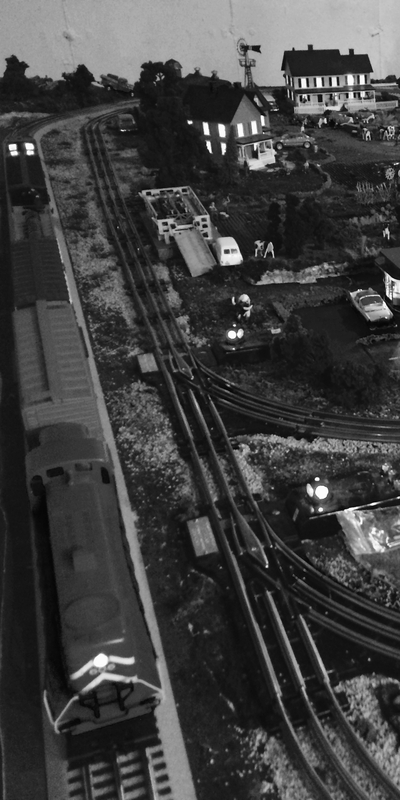 We build a variety of O Scale railroads! Below is a photo gallery of some our O scale railroads, which gives you an great overview of the types of railroads we build. The railroads are designed to be a reflection of the desires and tastes of the owners, in their particular situations, be it business or private homes. This client wanted a small fun layout for him and his grandchildren to operate! Features 2 train operation, both MTH and Lionel. A PRR Lionel and MTH railroad. This client wanted a large basement layout with a PRR fantasy railroad theme. This client wanted a fun layout for his grandkids! This client wanted a multi-level layout to entertain his wife, friends, and grandchildren, features double track, 4 continuous loops with an HO scale train on the top level! This client wanted a Railroad on the floor in upstairs loft. This client wanted a classic Lionel Railroad with fun operating accessories for his kids. This client wanted a small 3 level Lionel Railroad with high tech operatation. All trains run with his iPad or iPhone!